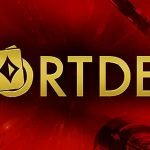 Will SCOTUS Sports Betting Verdict Benefit Poker Players? 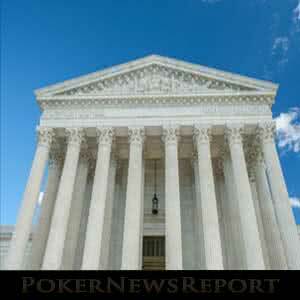 Home » Poker News » Online Poker News » Will SCOTUS Sports Betting Verdict Benefit Poker Players? The Supreme Court of the U.S. yesterday ruled that the Professional and Amateur Sports Protection Act (PASPA) was unconstitutional – opening the door for states to regulate sports betting. However, doubts exist the ruling will be of any benefit to poker players in terms of expanding the regulated market. Yesterday´s ruling was regarded as “historic” by many in the gambling industry, as it will allow states to license sports betting operators and tax their profits – generating revenues for worthwhile causes and relieving the pressure on states to increase taxes on individuals and businesses. Naturally, the ruling will also benefit licensed sports betting operators and their affiliate marketers. Questions remain about how many states will take advantage of the opportunity despite a handful having already passed legislation ahead of the anticipated verdict. Most observers believe that, after an initial rush of activity, it could take more than five years before many states enact legislation due to constitutional issues preventing an expansion of gambling. There are also concerns that professional sports bodies or federal intervention could obstruct states´ attempts to pass legislation. Indeed, within a few hours of the SCOTUS verdict being announced, representatives of the NBA and MLB were repeating their calls for an “integrity fee”, while Utah Congressman Orrin Hatch announced he would introduce federal sports betting legislation to replace PASPA and help protect honesty and principle in the athletic arena. Do These “Interventions” Ring Bells? For anybody who has been following attempts to regulate online poker in the U.S., these interventions will be familiar. From stakeholder infighting in California to the proposed Restoration of Americas Wire Act (RAWA), there are always parties wanting a bigger slice of the pie who are willing to sabotage legislation if they don´t get their way. The interventions have prevented the regulation of online poker in all but four states; and, although they were not so apparent when a dozen or more states regulated Daily Fantasy Sports (which has a carve-out under UIGEA), there is potentially a lot more money at stake in a regulated sports betting environment. You can expect more interventions as the drive towards regulation gathers momentum. 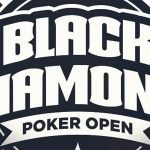 Where Does this Leave Regulated Online Poker? 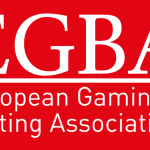 A number of optimistic industry observers believe the regulation of sports betting will lead to an expansion of regulated online poker; with either legislation to regulate online poker being included with sports betting legislation, piggybacked onto it, or passed separately as states get their gambling regulations in order. This may not necessarily be the case depending on whether states adopt the theory that sports betting involves an element of skill (an argument often used to support regulated Daily Fantasy Sports) and online poker is based on luck. Although this argument is incorrect at practically every level, it has prevented online poker legislation moving forward in some states. There are also concerns the states that would make the biggest impact on regulated online poker in the U.S. (California, Texas, Florida, etc.) are unlikely to pass sports betting legislation in the next five years – if at all. Although any addition to the existing rollcall of regulated states would be welcomed by proponents of regulated online poker, progress is likely to be as painfully slow as it has been since the DoJ´s opinion on the Wire Act in 2011. 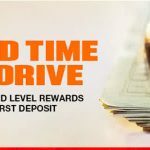 This will result in the piecemeal growth of poker networks, which has caused many online poker players to abandon their regulated markets and return to non-regulated markets where player pools are bigger, the rake is lower, and promotions are more rewarding. If states fail to regulate online poker alongside sports betting, this is a trend that will likely continue – resulting in the SCOTUS sports betting verdict failing to benefit poker players at all.